The residential project Vijay Orovia is being developed by Vijay Group & Suraksha Realty. This project is located at Ghodbunder Road, Mumbai, Thane. 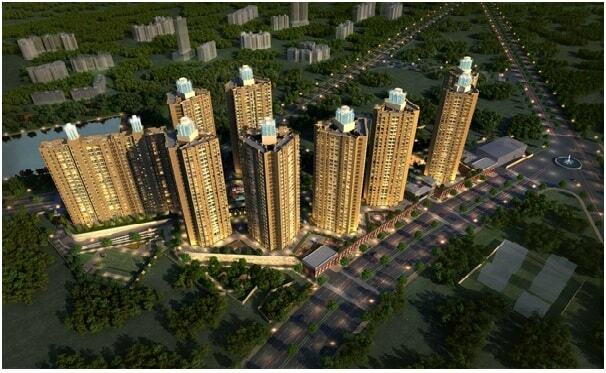 Orovia is configuration of 10 towers on a vast tremendous stretch out & per tower will have 27 apartments in it. Each Tower is available with different spacious rooms which begins from 1 BHK, 2 BHK & 3 BHK. As of now this property is currently under construction with an Expected Date of Completion around December 2018. The group has chose the beautiful location of green land to stand this luxurious project at Ghodbunder Road, Thane West. The project structure is of stilt plus 27 Floors, which gives an option to choose 1 BHK, 2 BHK & 3 BHK configuration flats which start from 636 Sq.ft To 2645 Sq.ft with all the modern amenities and safety system. The developer Vijay Group and Surakhsha Realty has hence planned to locate their joint venture project in such a spot that its useful for both end use as well as for Investment purpose.This location easily fulfills both these requirements. Two monorails and lines are also proposed which will connect Thane to Dahisar and Thane Bivandi Kalyan and Thane Kasarvadavli Metro corridor is proposed as extension to Wadala-Ghatkopar-Thane Metro Corridor which will further improve connectivity and reduce travel time. It also connects to various other routes such as Waghbil road, ghodbunder road, Vijay Garden road, Swastik residency road, Forest Avenue, Link street road & Hiranandani estate road. Vijay Orovia lies at Ghodbunder Road near Hiranandani Estate, Thane, Maharashtra. Orovia by Vijay group is located at G.B Road offers life styled homes with all modern amenities like cricket pitch, daycare with toddler play area, kids zone, multipurpose hall, state of art gymnasium, indoor games, meditation and yoga rooms, ionized indoor swimming pool, reading rooms, business centers etc. Schools – Alpha Academy, Arya Cambridge International School, Hiranandani Foundation School, Mist Magic Pre School, Kidzee Pre School. Hospitals – Dentech Dental Clinic, Kevalya Hospital, Hiranandani Hospital, Currae Hospital, Jijai Women’s Hospital. Restaurants – Mritsa Restaurant & Bar, Raj Chinese Restaurant, Barbeque Nation, Jagannath Restaurant. Bank/ATMs –HDFC Bank ATM, Axis Bank ATM, ICICI Bank ATM, Bank of Baroda ATM. Shopping Malls – Bellpepper Plaza, Big Shopping Centre, MK Plaza, Viviana Mall, My D Mall, Eden Supermarket, D-Mart. Parks – TMC Garden, Hakone Games Park, Nisarg Garden, Brahmand Vatika, Hiranandani Joggers Park. Bus Stops – Kasarvadavali, Anand Nagar, Vijay Garden, Dongri Pada, Vijay Nagri, Rutu Tower, Muchhala College. 504 sq.ft. - 615 sq.ft. 590 sq.ft. - 938 sq.ft. 476 sq.ft. - 1200 sq.ft.